Why choose Team Patrick as your REALTOR®? You get two experienced REALTORS® working for you, either to market and sell your property, or help you find a new home, or both. We both have many years of sales experience to back up our real estate careers. We have lived in Tarrant County for over 20 years, and we both grew up in the Metroplex. We have many aggressive marketing tools to help you sell your home and the newest technology to help locate the right home for you. We have both volunteered in the community as youth soccer coaches, and Sherri has volunteered at Ronald McDonald House Fort Worth for over 5 years. We promise you our expertise and best efforts to accomplish your real estate goals. Why not choose Team Patrick? We are Spouses Selling Houses! Contact us today! Team Patrick Realtors, Thank you for an amazing experience! As first time home buyers you were there every step of the way, ready and willing to help and answer any question or concerns we had. You made this a pleasant journey and will definitely recommend you to any and all friends who are looking to buy a home!! We are so happy we chose Mickey and Sherri when it was time to sell our house. They were knowledgeable and flexible, working around our schedules to best meet our needs. And not only did they help us sell our house, but they also assisted us in finding our new home as well. They ensured that we understood the process and the paperwork, both buying and selling, and made the entire process a pleasant and exciting experience for us. We would recommend them to anyone looking to buy or sell…or both! I recently listed my house with Century 21 Mike Bowman, Inc. Wow, what service. I had a “team” of realtors assigned to my account. 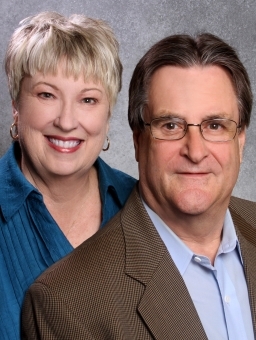 Mickey and Sherri Patrick gave me a real “One-Two” punch in marketing my real estate. The entire process including the closing was very professional. Mark and I thoroughly enjoyed working with Sherri. She helped us find our first home. She was a great help. Being first time buyers, we were unaware of a lot of the costs and procedures. Sherri gave us that information before we even asked. She explained everything in terms we could understand. We loved working with her and will work with her again when we buy our next home. My sincere thanks to “Team Patrick” for the successful sale of my family’s rental property. Mickey and Sherri went above and beyond in the level of service provided. They dealt with so many issues that any other service might have left to the seller. Renters, estate issues and multiple sellers to say the least. I always felt like they had me and my brothers’ best interest in mind. Thank you, Mickey and Sherri for the quick and efficient sale of our property.